A classic South African favourite. 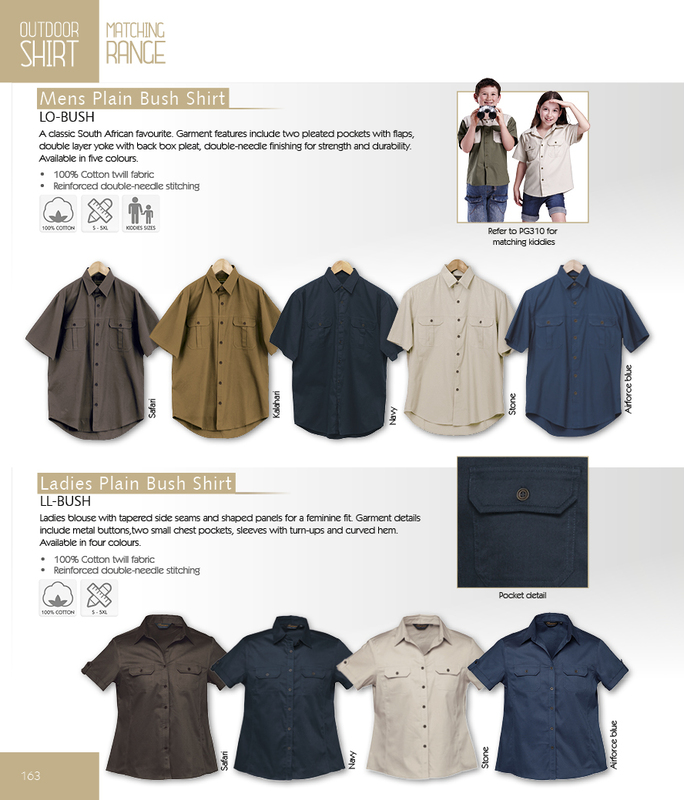 Bush Shirt features include two pleated pockets with flaps, double layer yoke with back box pleat, double-needle finishing for strength and durability. Available in five colourways. 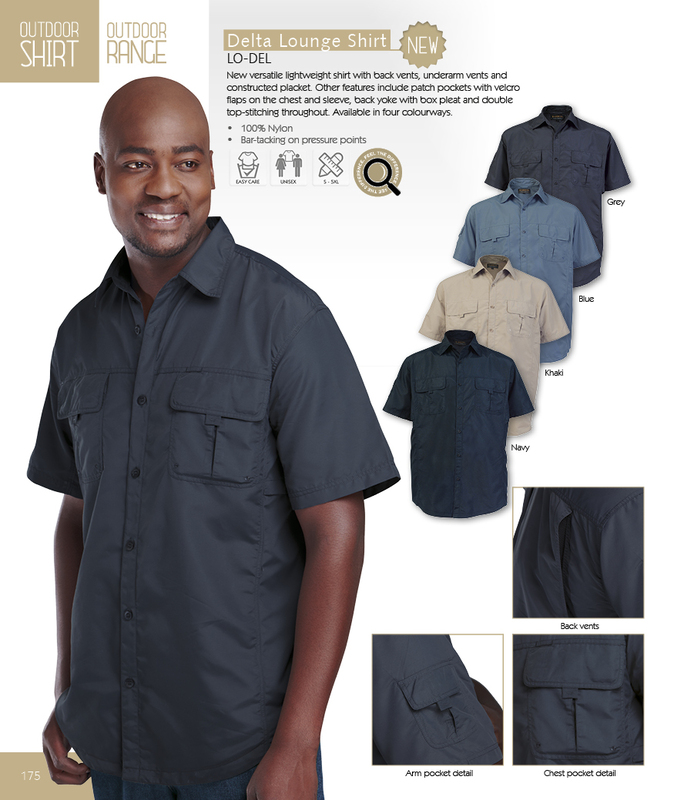 Flattering feminine outdoor look, two front pockets, back yoke detail and tapered side seams. Available in three earthy colours. 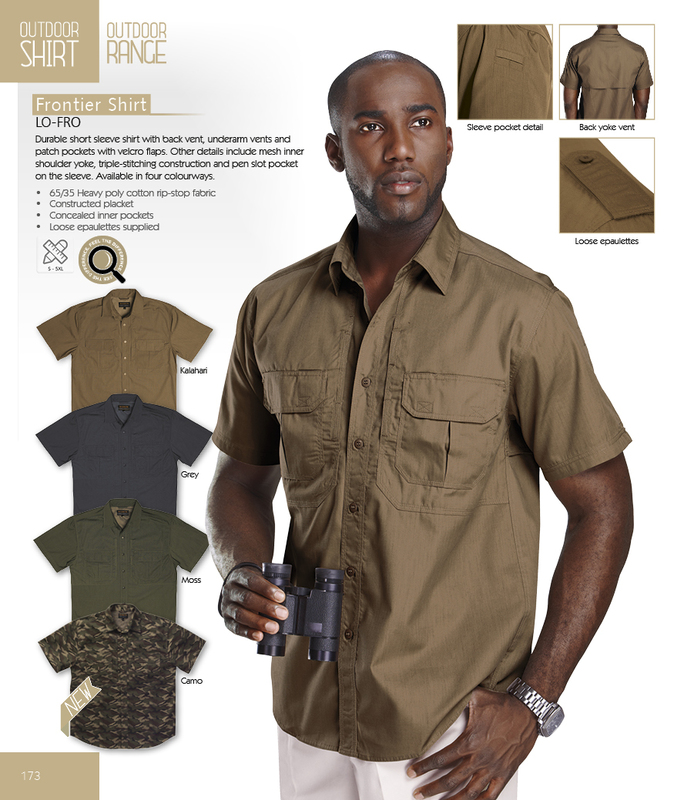 Durable shirt that is great for an active lifestyle or outdoors. Features include chest pockets, double button cuffs, double-needle finish for strength and durability. 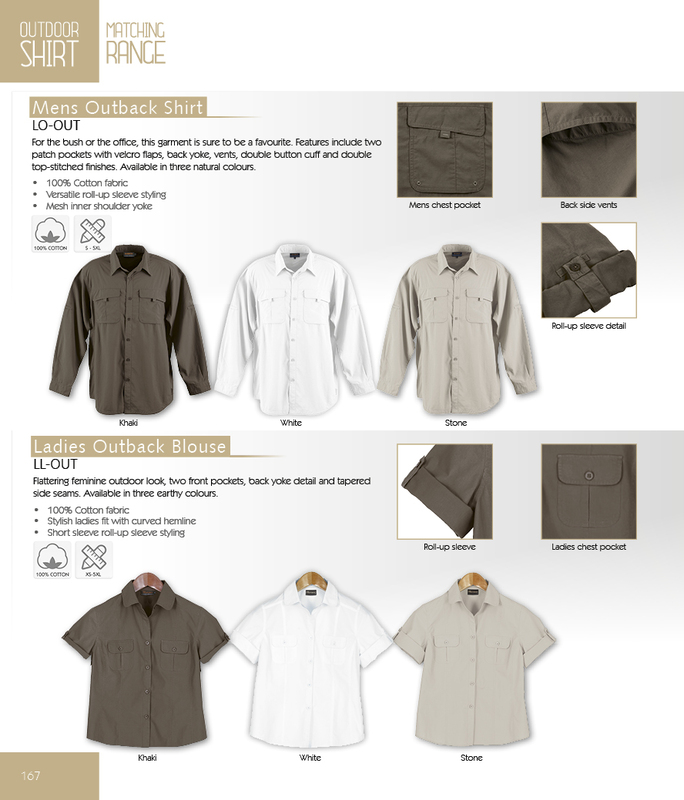 Versatile roll-up sleeves styling. Available in four colours. South African inspired long sleeve shirt. 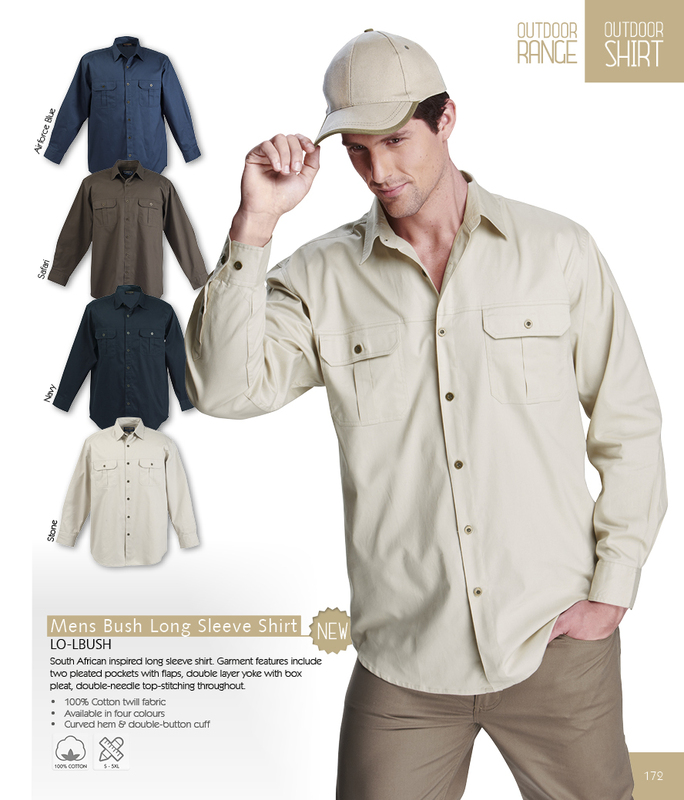 Garment features include two pleated pockets with flaps, double layer yoke with box pleat, double-needle top-stitching throughout. 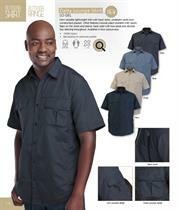 Durable short sleeve with back vent, underarm vents and patch pockets with Velcro flaps. Other details include mesh inner shoulder yoke, triple stitching construction and pen slot pocket on the sleeves. Available in four colourways. 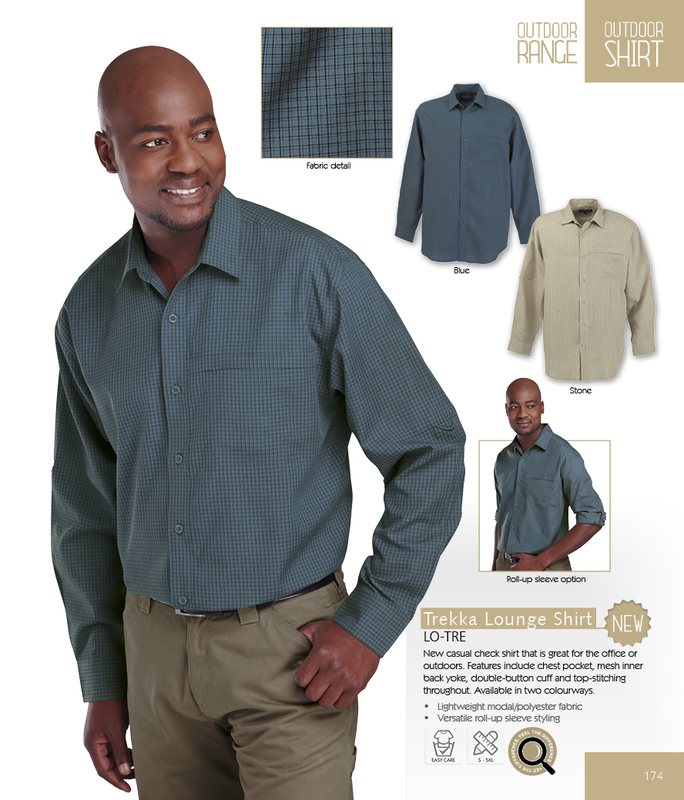 New casual check shirt that is great for the office or outdoors. 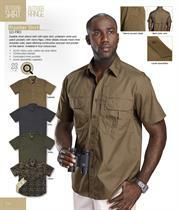 Features include chest pocket, mesh inner back yoke, double-button cuff and top-stitching throughout. Available in two colourways. 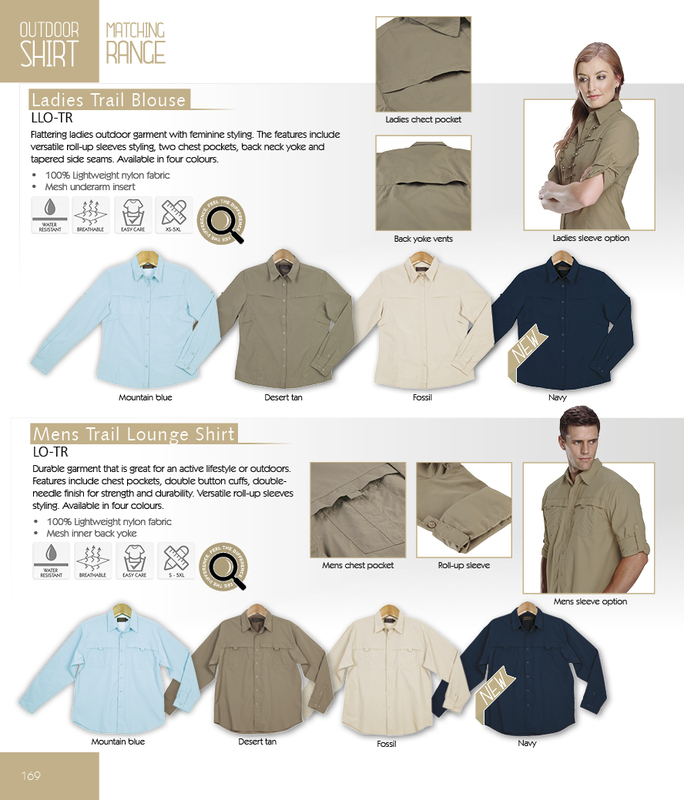 New versatile lightweight shirt with back vents, underarm vents and constructed placket. Other features include patch pockets with velcro flaps on the chest and sleeve, back yoke with box pleat and double top-stitching throughout. Available in four colourways. 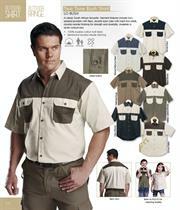 Outdoor - Classic South African favourites like the bush shirt and two-tone bush shirt and outback shirt.